The Duchenne Research Fund was delighted to participate in the Duchenne Hub information day held on 18 September 2017 at Alder Hey Children’s Hospital in Liverpool. The event was hosted by Duchenne UK, organised in conjunction with Hub manager Emma Heslop and the UK’s two leading neuromusuclar centres – the John Walton Muscular Dystrophy Research Centre in Newcastle, and Great Ormond Street in London. The day was an opportunity for clinicians, researchers, charities, families, pharmaceutical industry and NIHR representatives to address ways to increase patient access to clinical trials for Duchenne. DRF Director of Operations Sheli Rodney took part in a panel of patient organisations to discuss some of the challenges in this arena. 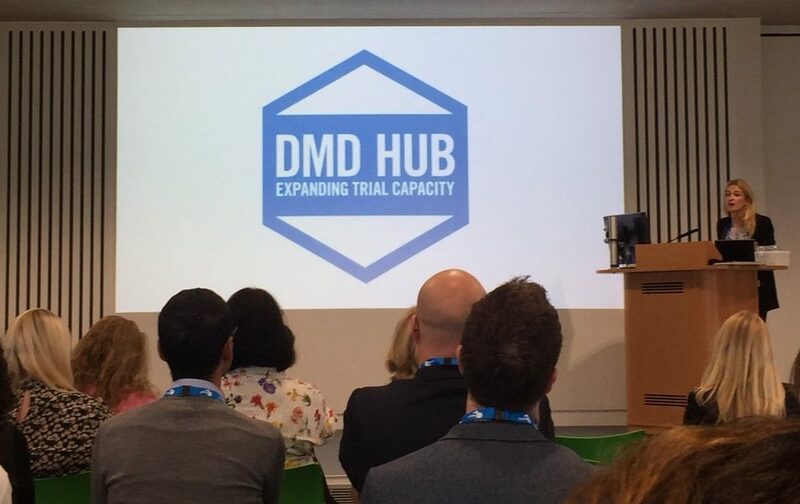 Duchenne UK and the two neuromuscular centres launched and developed the Hub in 2016 as a follow-up to the Newcastle Plan – a joint effort in 2015 by the stakeholders mentioned to respond to a bottleneck of new drugs coming through the pipeline for clinical trial. As part of the Newcastle Plan, eight patient organisations (including DRF) gave a total of £1.2m to fund 16 clinical research-related posts, and one-, two- and five-year plans were put in place to ensure that these posts and future endeavours would be sustainable. The role of the Duchenne Hub is to bring together UK-wide Duchenne resources, share best practice and develop a toolkit for up-and-coming trial sites across the country, as well as explore longer-term funding plans with NHS trusts and industry partners, in order to ensure that sustainability. Read more about the Newcastle Plan.